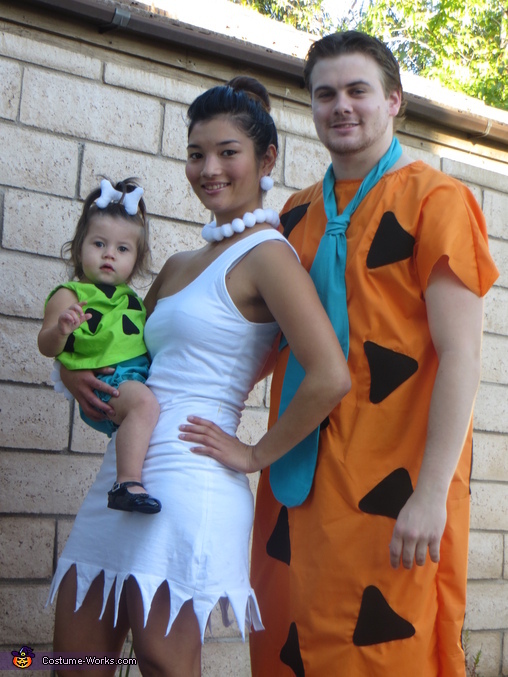 The fiance is Fred, adorable one year old is Pebbles and I am Wilma. Those costume are homemade for less than $30. Where did you find the pebbles costume?